Carter and Owen are back and ready to start a family with Luke, Edmund (Tiny Tim in Ranger Station Haven #1) and Legos (not the toys). Carter wants to be a good father, but he’s completely at lost with Edmund and Luke, he tries his best, but with his weird childhood, maybe he hasn’t the best tools. It was a pleasure to read a sequel with my favourites rangers. Carter and Owen are adorable, and Carter is so funny, this guy cracks me up each time. It was a short story, but it put a smile on my face, and may have or not, put some tears in my eyes. It’s a super Christmas book, full of love and hope, and it fits perfectly for the season. 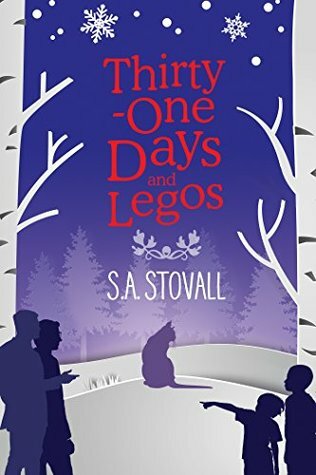 S.A Stovall is really talented, and even in this short story, she gives us a full palette of feelings. I highly recommend this book, it’s like the chocolate you eat before bed. Sweet, pleasurable with a happy thrill in your belly.